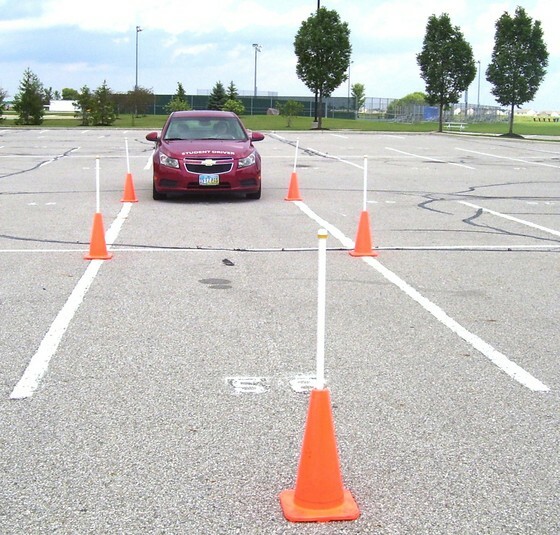 Students who wish to practice maneuverability on their own time may rent our orange cones (pylons) and white stakes. We require a deposit of $55 cash when you pick up the cones. The rental fee is $15 per day. (You recieve a $40 refund when you return the stakes and cones within a 24 hour period.) If the stakes and cones are not returned within 4 days we will keep the entire $55.